Too little, too late for Perth Airport’s lacklustre redevelopment? This article is a supplement to last month’s Perth Airport, best in airport design? Unlikely. Perth Airport’s $750 million redevelopment is resonating well with a public that laments current facilities, but will the terminal redevelopment actually provide ample space to handle growth? Westralia Airports Corporation (WAC) Perth Airport’s is known for underestimating traffic forecasts. Master planning is based on a prediction of 3.5 per cent compound annual growth, with total passenger traffic of 18.9 million per annum by 2028-29. Unsurprisingly redevelopment plans provide no terminal passenger capacity forecast, stating only that the consolidated development will ensure the already under-capacity terminal is capable of handling passenger growth to 2020.
an increase in aircraft movements of 260 per cent. Passenger growth between FY2006 and FY2011 was 9.2 per cent p.a. In FY2012 passenger traffic will pass the 12 million mark for the first time. If growth continues at current rates passenger traffic will reach 24.8 million to 40.7 million passengers p.a. by 2028/29. My math tells me it’s unlikely. Is airline resistance to blame? When WAC reduced its commitment from a ‘world-class’ facility, its main reason for not investing more was “any attempt to design to a higher standard would be met with resistance by airlines, reflected in a refusal to support resulting investment plans”. Perth’s smallest international operator Qatar Airways is ‘the world’s best airline’, and the majority of Perth’s largest international operators are based at airports designed to IATA Level of Service (LOS) A standard, and others such as China Southern, Virgin Australia and Garuda are moving upmarket. Wouldn’t these carriers want facilities at a standard higher than simply average? Further proselytizing its decision, WAC ‘recognised’ “that lower airport operating costs relative to other airports enhances the viability of air services to Perth and therefore increases the prospect of attracting new services”. True for all airports, particularly those in high competition areas, but Perth Airport’s nearest major competitors are Adelaide, South Australia; Darwin, Northern Territory; and Denpasar, Bali, all over 2,000km away. What about new operators and LCC traffic? Long-term potentials: Korean Air (KE) to Seoul, and Hawaiian Airlines (HA) to Honolulu. HA has made significant strides in developing HNL into a Pacific hub. KE is aggressively targeting in-transit traffic and serves many small-low traffic cities with less than weekly frequency using convenient connections to high-frequency heavy traffic destinations to attract custom. 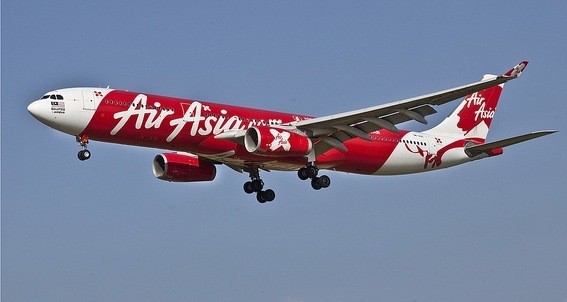 Air Asia’s largest Australian operation is to Perth with 31 return services a week from KUL and DPS. operators serving Perth will increase. Batavia Air and Lion Air may serve Perth from Indonesia. Jetstar may introduce new Asian destinations, including perhaps resuming QF Group services to Tokyo. Not to mention IndiGo in India, and more services by Air Asia. WAC highlighted the differentiated basic service needs of LCCs noting only “some LCCs are unlikely to support the redevelopment…because it will increase airport charges”. If it was only ‘some’ LCCs that opposed a ‘world-class’ terminal, why didn’t WAC plan a fully independent LCC terminal allowing the airport to offer diversified services through distinct airline products? Dedicated terminals only enhance an airports value proposition for both LCCs and full service carriers. Is this development too little, too late? Perth Airport doesn’t think so, but it’s not going to take the public long to realise they weren’t given the best in airport design.